In 2003, the Water Sports Industry Association (WSIA) founded the Water Sports Foundation (WSF) as the non-profit educational arm of the WSIA. 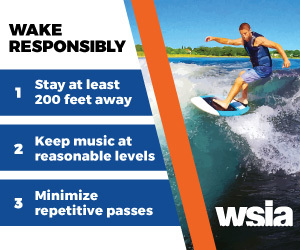 WSF was specifically designed to be the WSIA’s boating safety and education division. WSF has been active in securing non-profit federal grant funds from the U.S. Coast Guard, specifically in the area of public outreach for boating safety according the Coast Guard’s strategic plan.